A VoIP phone is a device that uses the Internet to communicate. It requires no wires and gives you almost unlimited options for mobility and connectivity. VoIP’s key features are an easy installation, simple set up, and quick scaling. They also have phone numbers that follow you on any device. VoIP phones send telephone calls via the Internet or the cloud and there are many different types to choose from. The different types of VoIP phones include hard phones and softphones. Hard phones involve direct calls, conference calls, accessing voicemail, and communications through the headset. It also works well with Bluetooth, speakerphone, or virtual phones. Your application on the device such as a computer, tablet, or smartphone will allow the connection and can be used much like a regular hard phone. There are many types of VoIP phones available to meet the needs of different types of customers. In the past, phones connected to a PBX system which would handle all routing and ensure each call received its proper destinations. The VoIP phone system features far exceed those previously available on the old PBX system. Modern technology utilizes existing computer network cabling or Wi-Fi to access telephone networks without additional copper wire. No wire is needed for your VoIP business phone service which means there is less telecommunication expense. In the past phones were wired to an on-premise PBX. Now that VoIP phones process telephone calls via the internet, it is much easier to make calls. VoIP phones process telephone calls via the Internet or the cloud and the technology uses existing computer network cabling or Wi-Fi to access telephone networks. No additional copper wire is needed making a VoIP phone call simple. To make a call using the VoIP system, just pick up a headset and dial a number. The technology is designed to make it simple and less complicated than other phone systems. The same idea applies when receiving a VoIP phone call. It works the same as any other call depending on the telephone device your company chooses to connect with. You can connect simply and easily by plugging the phones in and having your phone company team customize the system in a way that best suits your particular needs. VoIP phones need only a network connection or router to operate although some newer models will be equipped to operate wirelessly. VoIP systems are easier to use than traditional phones. They are clear and work a lot faster than wire phone systems because they work via the Internet. In the past, phones came with cords and were often times very bulky and inconvenient to use. PBX switchboard operating systems were not as advanced as the VoIP systems are. You can now connect to businesses, companies, relatives, and friends much faster. VoIP systems are a lot more convenient and much less expensive compared to systems of the past as well. They can be used very easily and efficiently by just about anyone. VoIP voice systems are here to stay and managed VoIP services are a great way to communicate. It will be a trend in the future as these systems are much easier to use than traditional phone systems. 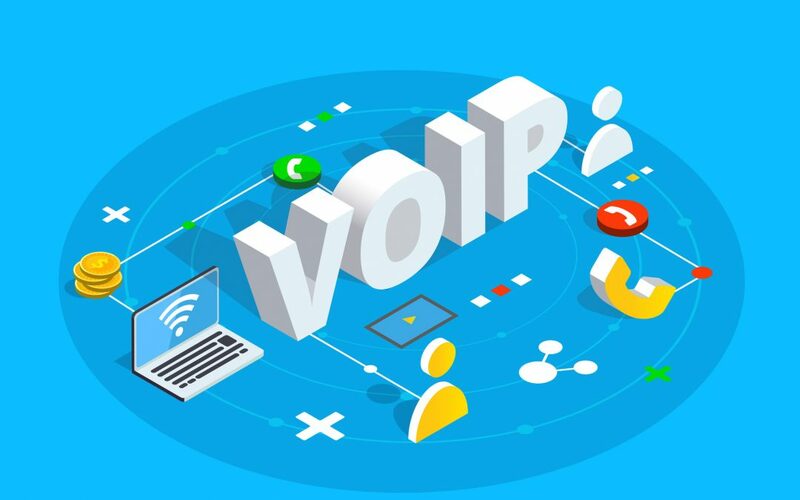 VoIP systems will allow us to connect all over the world with less expensive cost than in previous generations and I believe they will become a new way in which the world communicates.